The KR Kolors Single Tote is available in a variety of bright colors. This bag holds a ball, a pair of shoes, and accessories and is value priced. This bag is a must for your basic bowling needs. Large zippered accessory pocket on the front. 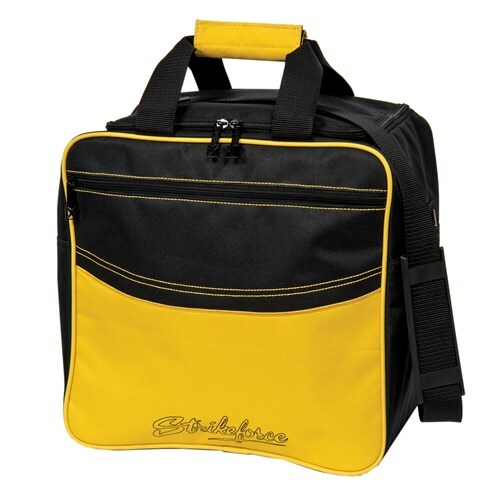 Due to the time it takes to produce the KR Strikeforce Kolors Single Tote Yellow ball it will ship in immediately. We cannot ship this ball outside the United States.